The militants targeted at least 18 election offices of different political parties or independent candidates killing at least 35 people and leaving 188 others injured. Out of them, 14 were hit by IEDs which exploded outside or near the election offices, 2 by grenades attacks and 1 each by rocket attack and gunfire. The militants targeted political leaders, parties and candidates 15 times in the field, i.e., when they were on their election campaign, taking lives of 27 people and leaving 80 others injured. Out of them, at least 12 attacks were made on the candidates’ vehicles including 8 on their convoys. The militants attacked 7 public / corner meetings of the candidates taking lives of 39 people and leaving 144 others injured. Out of them, 4 were hit by IEDs. A suicide attack also hit a public meeting (Jalsa) killing 11 people including 8 security personnel and 2 civilians and leaving 144 others injured. The militants targeted residences including guest houses (hujras) of candidates 9 times taking 2 lives and leaving 6 others injured. The militants also attacked a candidate when he came out of a mosque after offering Jummah prayer. Yet another candidate was found missing after he came out of mosque after a prayer. The militants also attacked or blown by IEDs 4 polling stations leaving 13 people injured including 3 security personnel and 10 civilians. An office of the election commission also came under attack. The militants kidnapped several people including a few candidates during the election campaign. They kidnapped 9 people including, Abdul Fateh Magsi, an independent candidate for a provincial assembly seat from Jhal Magsi in Baluchistan. Later on, dead bodies of Magsi and 3 others were found from a nearby place. At least 2 candidates of Pakistan People’s party were also kidnapped. Ali Haider Gilani S/o of former Prime Minister Yousaf Raza Gilani and a candidate for Punjab Assembly seat was kidnapped soon after he addressed a public meeting in his constituency in Multan a couple of days before the election. The assailants also killed his secretary and a guard and left 2 people injured. Earlier, the militants had kidnapped a PPP candidate for Sind Assembly seat from PS-125 Karachi. 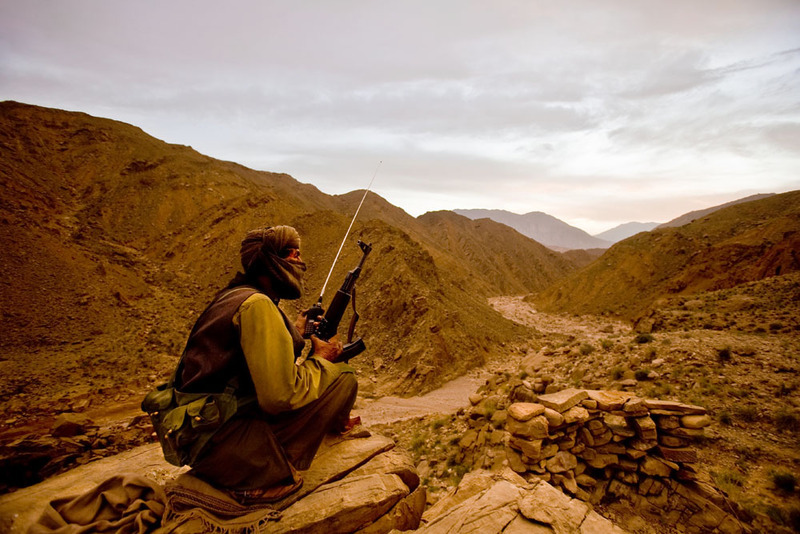 The militants also kidnapped a candidate of Qaumi Watan Party (QWP) from NA-40 in North Waziristan Agency. The statistics contradict the claims that so-called liberal or left–wing parties particularly FCPs were the main target of the militants. Rather, the militants attacked the other parties more than FCPs. In all, the militants attacked FCPs 25 times, i.e. ANP 13, PPP 8 and MQM 4 times. They targeted other candidates 29 times besides carrying out 5 attacks either on office of election commission or polling stations. Militants attacked independent candidates on 8 occasions and candidates from other parties 21 times. They targeted nationalist parties (BNP and NP) of Baluchistan 3 times, moderate parties such as QWP 2 times and MQM (H) and NPP one time each. The so-called right-wing parties were attacked 14 times, i.e. JI 3 times, JUI (F) 4, JUI (N) 2, JUI (S) 1, PML-Q 1, PML-N 1 and PTI 2 times. As such, militant attacks on FCPs including ANP, MQM and PPP constituted 46 percent of total attacks on candidates of political parties whereas 53 percent attacks were reported on other parties. Even the so-called right wing parties witnessed 26 percent of the total attacks on political parties. The data shows different dynamics in different provinces. In Sind, 9 out of 12, i.e. three-fourths of total attacks on political parties were directed against (FCPs) – 4 against MQM, 3 against ANP and 2 against PPP. Three other parties, i.e. MQM (H), NPP and PTI witnessed an attack each. In KPK, FCPs (excluding MQM) were targeted 12 times – ANP 9 times and PPP 3 times. The militants also attacked one time each on other parties including JI, JUI (F), JUI (S), PML-Q and QWP. At least 4 independent candidates, including one from FATA, were also attacked in KPK. The militants also attacked 3 polling stations in the province. In FATA and Punjab data shows a mixed trend. In FATA, the militants attacked one time each on ANP, JUI (F) and QWP and twice on the independent candidates. They also targeted a polling station in the area. In Punjab, both PPP and PTI witnessed an attack each. In Baluchistan, the trends remained quite opposite of the other provinces particularly Sind and KPK. The militants mostly attacked the candidates from the right-wing parties in Baluchistan where JI, JUI (F), and JUI (N) were targeted 2 times each. PML (N) was targeted once while 2 independent candidates were also attacked in Baluchistan. The nationalist parties of the province were attacked thrice – BNP twice and NP once. Only a single attack was reported on any of the FCPs, i.e. on PPP. Besides, the militants also targeted an office of the election commission in the province. In sum, in Sind and KPK, militants mostly attacked FCPs, in Punjab and FATA trends were mixed while in Baluchistan the so-called right-wing parties remained the main target of insurgents. The date 21st March taken was roughly near to taking over of the interim setup and beginning of the election process. The date 20th May taken is the final date on which the election process including re-polling in some constituencies has been completed. 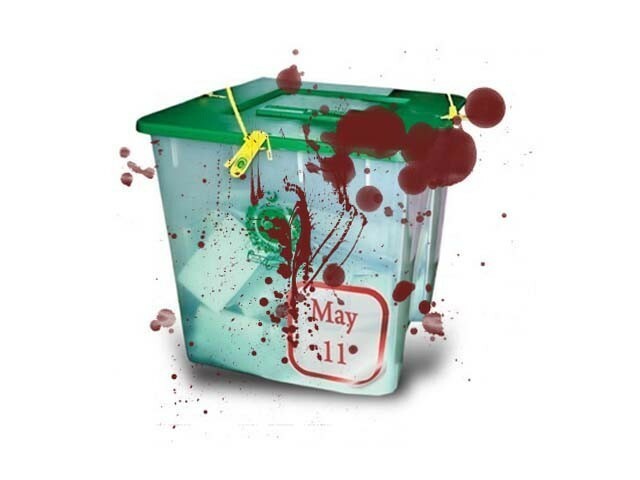 However, the violence against political parties and candidates was mostly observed between April 14th and May 12th 2013.